A day I had been looking forward to, meeting up with my Finnish blogging friend Suvi, author of the lovely blog Destination Everywhere whom I first met on my visit to Finland last year. This time we planned a day out together exploring Lake Tuusula in Järvenpää, about a 30 minute drive from Helsinki. Suvi kindly came to pick me up from my base in Espoo and in warm sunshine we headed north making our first stop at Ainola, the former home of the composer Jean Sibelius. 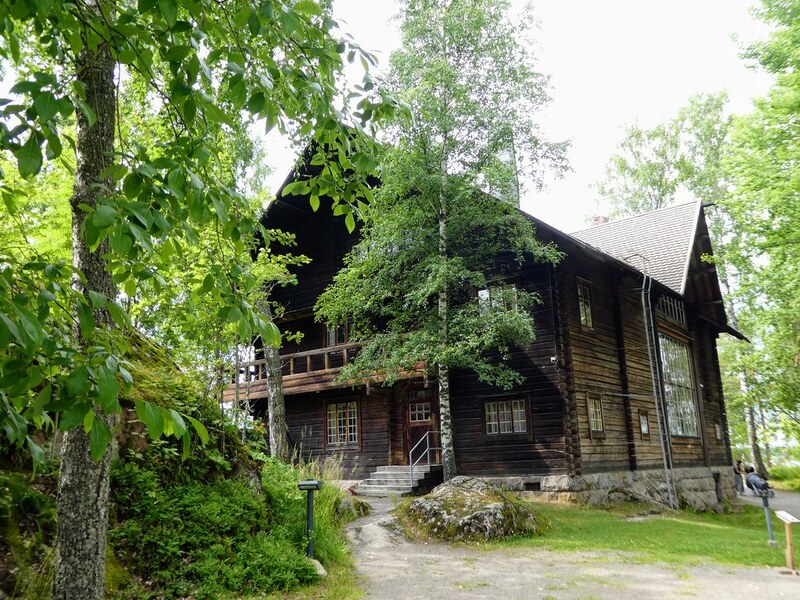 To concentrate on his music, Sibelius moved to this home on a wooded slope near to Lake Tuusula in Järvenpää. The house was completed in 1904 originally as a log house in the National Romantic style then in 1911 the walls were cladded and a tiled roof was added. 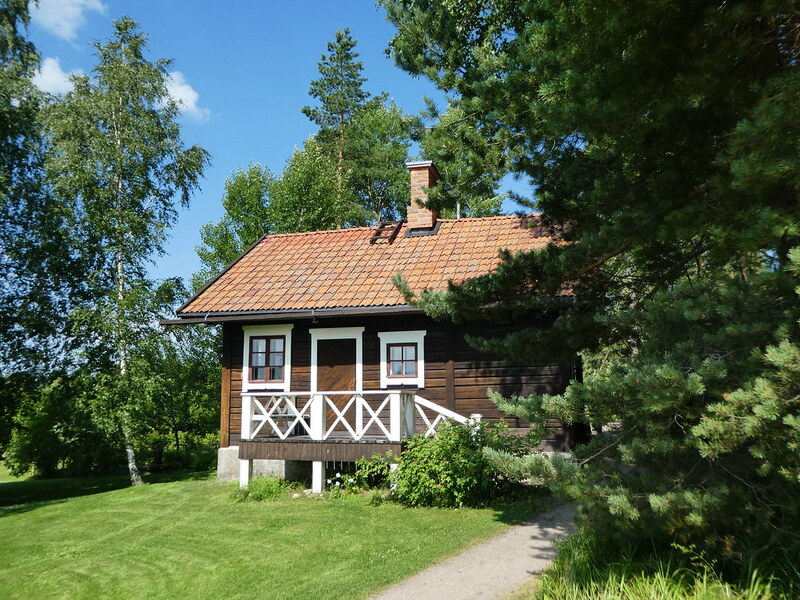 It was called Ainola, meaning Aino’s home after his wife Aino. Other artistic families lived in the same neighbourhood providing a lively social circle of friends. 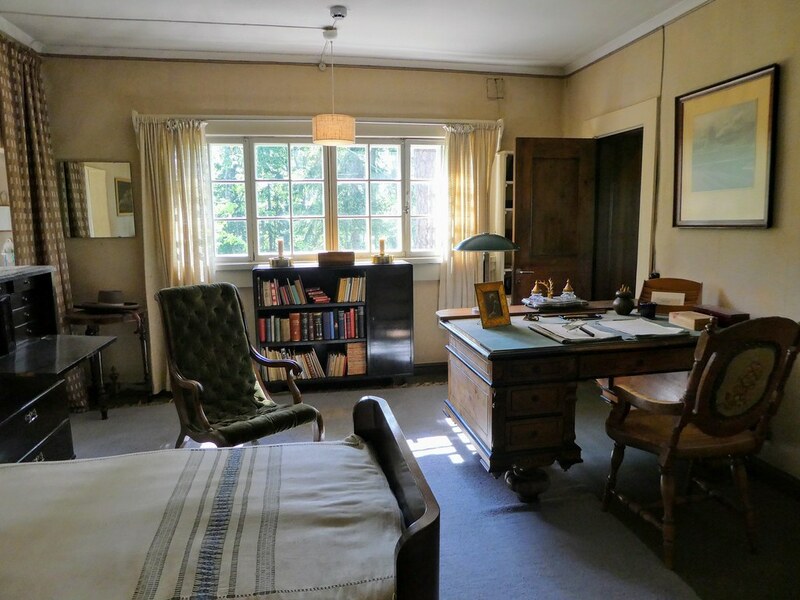 After the death of Jean Sibelius in 1957 his widow continued to live at the house until her death in 1969. Her daughters sold the estate to the Finnish government in 1972 and it subsequently opened as a museum. We enjoyed touring the house which has been carefully kept in its original state. A large collection of paintings adorn the walls and these include works by their artist friends. A walk around the attractive garden followed and then we returned to the car and drove around the lake to the Hotel Krapi Resort which first operated as a dairy farm in 1911 and is now a hotel and restaurant complex. Suvi suggested we eat lunch in Restaurant Mankeli which was created by combining the old granary and curehouse. The restaurant is open throughout the summer and during the rest of the year for private events only. We both settled for the buffet lunch consisting of soup, salad, fish and dessert and as it was such a warm day we found a table out on the terrace. 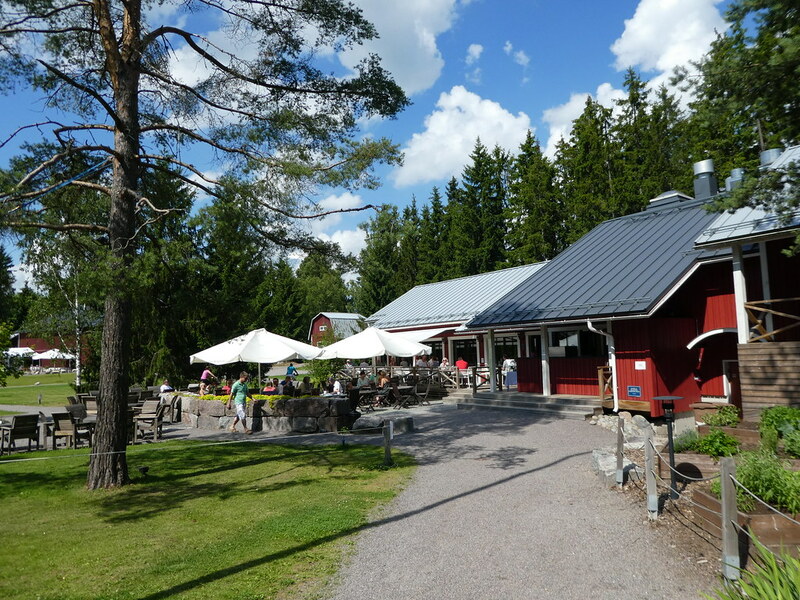 The surroundings were very peaceful and an excellent choice for lunch in the Finnish countryside. Driving on a little further the next place we wanted to visit was Halosenniemi the former home of the Finnish artist Pekka Halonen. The countryside around Lake Tuusula provided him with a rich source of ideas and inspiration for his landscape paintings. Halonen’s studio home was opened to the public in the 1950’s and its lakeside setting was beautiful with large windows looking out across the tranquil lake. We took a self guided tour of the house which had been preserved as if the family were still living there and then strolled through the delightful gardens admiring the lakeside views. After such a lovely outing it was then time to drive back to Espoo and for Suvi and I to go our separate ways. It was so nice having the opportunity to meet up again and to be able to explore Lake Tuusula together on this our final full day of our holiday. This post concludes my visit to Finland this summer. If you have enjoyed reading this series of posts you may also be interested to read about my previous visit and of the evening I spent with my Finnish blogging friend Suvi last year. Thanks Zenov for your much appreciated comments. Finland is a beautiful country with delightful small towns and villages alongside beautiful nature. so green, so serene! thanks for sharing! Thank you for your kind words. The Finnish nature is absolutely beautiful. Thanks for your kind words and for taking the time to read my blog. It certainly is, there’s such beautiful scenery in Finland. Thank you for your much appreciated comment. Hi, I have enjoyed reading some of your posts about your holiday in Finland. It looks like a very pleasant and relaxing destination to visit. Thank you for your kind words Margaret and for taking the time to comment on my blog. Finland is indeed a tranquil and scenic country to visit. It’s my pleasure Ian. Thank you for admiring my photos, we were really lucky to have such good weather that day. Thank you for introducing all these places around Tuusulanjärvi. I did not know that there is so much to explore by the lake. Very beautiful. I will add these places on my local bucket list for next summer. Thank you Piia. It was good to meet up with Suvi again and be able to explore that area together. It was a lovely part of Finland made especially nice sharing the experience with my Finnish blogging friend. Thank you for your much appreciated comments. Great job with the photos. No wonder Sibelius composed such marvellous music. Wondering if the lake is warm enough for swimming in the summer months? We actually saw someone swimming in the lake and it was the end of July so I think it should be warm enough. Thank you for your kind words. Thank you Tarren for your kind words. It’s really beautiful around Lake Tuusula and we were lucky to have chosen a sunny day. Thank you for your much appreciated comments. Sounds like a really lovely last day Marion and how nice you were able to meet with Suvi again. Both houses sound interesting and I love the look and location of that restaurant. It was so nice to have an opportunity to meet up with Suvi once again as she only got back from her holiday the previous evening. I hadn’t visited Lake Tuusula before and we were really lucky with the weather to be able to eat outdoors. Hope you have a good weekend Joy. It was a lovely trip and a perfect way to end our holiday. Thank you for your much appreciated comments. What a lovely day with your blogging friend Marion. Thank you Sue, it was so nice to meet up again before we returned home. the place is so beautiful……. Thank you Sudhir, it is indeed beautiful. How beautiful!! I love these kind of houses. So peacefully and rustic. Finland is awesome! Thank you Madeline, the Lake Tuusula region of Finland is beautiful and just a short distance away from the capital Helsinki. How lovely that you got to meet Suvi – nice to meet a blogger in the flesh! It was so nice being able to meet Suvi once more and we had a lovely time together. Thank you for taking the time to read and comment on my post. 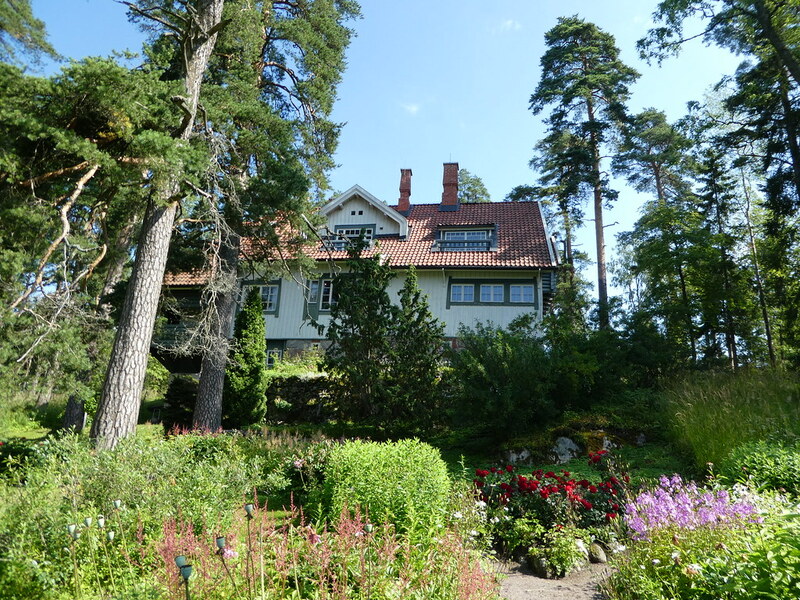 Loved reading about your visit to Sibelius’ home….we stayed with Finnish friends last October and could see the house from their garden! Unfortunately it was closed so thanks for the inside pics! Isn’t the area peaceful?! How lovely that you were able to stay with friends near there. 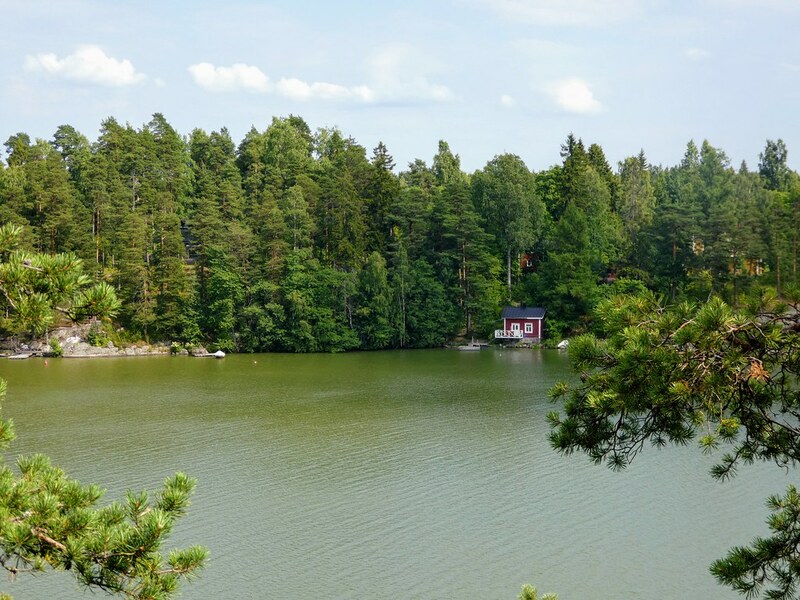 The area around Lake Tuusula is so beautiful and tranquil yet close to Helsinki. Thank you for taking the time to comment on this post, it’s much appreciated.